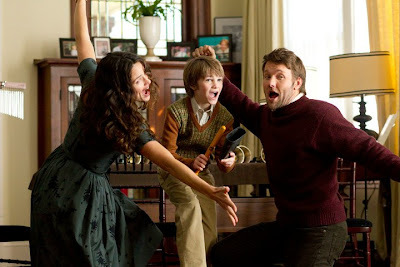 Jim and Cindy Green (Joel Edgerton and Jennifer Garner) have been trying to some time to have a child, but after learning this was not something they were meant to experience, the couple goes home and shares a night of imagining what it would have been like. They write down talents and attributes they would want their ideal child to have, lock them away in a box, and bury it in their back yard garden. During the night, a freak rain storm and a healthy dose of magic produces a young boy named Timothy (CJ Adams) who has literally sprouted from the garden and seemingly emerged as a fulfilled wish from the box. Jim and Cindy are only convinced what this gift from who knows where is meant to be their son when they see where he came from and also his unique feature. At least no other child they have ever seen has ever had leaves sprouting from their legs. As the boy meets his extended family and starts to learn about things like school and sports, he seems to have a knack for turning a challenging situation in to an opportunity for good. Along the way, he meets a young girl named Joni (Odeya Rush) and the two immediately become nearly inseparable. Timothy goes on to change the lives of a lot of people in a town that is struggling to survive, but his most important mission will also be his biggest challenge. 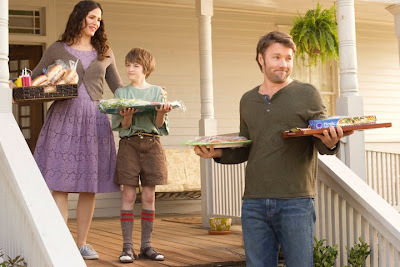 At the forefront of this picture are the acting performances by the always excellent Joel Edgerton and the extremely likable Jennifer Garner. They have a great chemistry together and you really believe in who they are as they go through some serious pain as well as some terrifically fun moments together. The supporting cast includes some tried and true standbys like David Morse who plays Jim's father and Common who plays Timothy's not so supportive soccer coach. 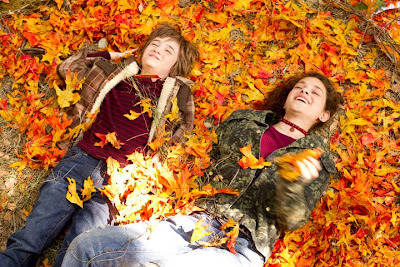 Director and co-writer Peter Hedges has worked on some pretty significant films like "What's Eating Gilbert Grape" and "About a Boy", but this is his first major directorial effort and it does show here and there. There is a lot of that classic Disney charm to be found, but I just didn't feel that extra emotional tug that a movie like this should be able to conjure up. 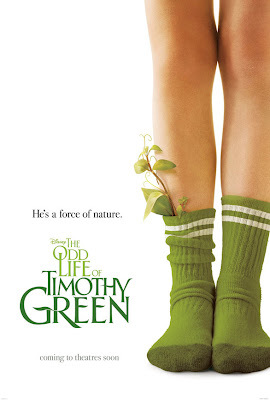 Overall, The Odd Life of Timothy Green" is a fun movie with characters you can't help but enjoy watching and a story that is just engaging enough to entertain movie goers of all ages.